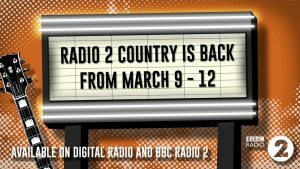 Two MediaCityUK-based audio production companies have teamed up on a commission for Radio 2 Country, the BBC’s pop up digital station, which launches on Thursday. The four-day pop-up digital radio service will run Thursday to Sunday and feature programmes, guests presenters and live coverage of the Country 2 Country music festival. Audio Always and Devaweb have produced Country’s World of Trouble, a music special which remembers the places where country music caused a stir and re-lives somes of the genre’s most controversial moments. Presented by Paul Sexton, it features a number of artist interviews recorded at MediaCityUK, including American female country music duo Maddie & Tae. Audio Always specialise in creating broadcast content and has recently opened office and studio facilities in MediaCityUK’s new Tomorrow building. Devaweb, who are based at The Greenhouse, are an audio branding and imaging production company who also produce the national digital radio station Chris Country.